Events have an allure which public spaces lack. In both instances, you are a spectacle; yet there is a distinct difference in how people react to and approach you. 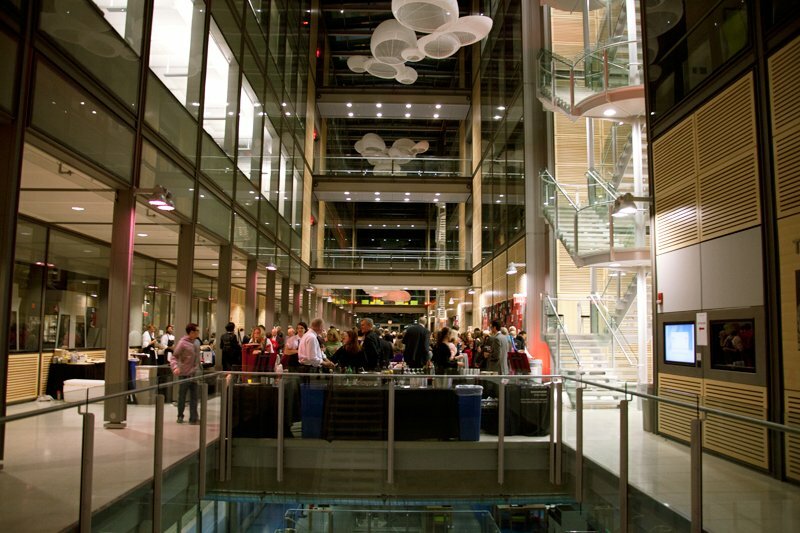 Public spaces offer a nonchalant curiosity, but events open people up rather immediately. Everyone’s behavior is influenced by the fantastic, not-so-everyday surroundings and atmosphere. 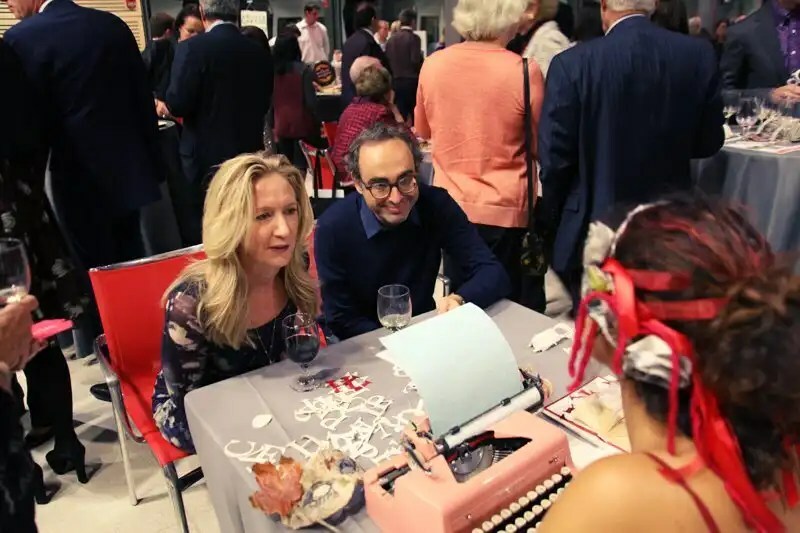 Last month, I was invited to type at Princeton Library’s annual benefit, Beyond Words. These photographs were snapped by Melissa; you can find her work through her website. Yamile, a volunteer organizer, had seen me typing free poems for people at the farmer’s market in front of the library. She left a message for me where I worked, asking if we could meet. Soon after, we got the chance to talk about the library and Typewriter Poetry. Performing for the Princeton Library benefit was a no-brainer, as it’s one of my favorite places in Princeton (besides the cemetery). Typing for former governor of New Jersey, Christine Todd Whitman. 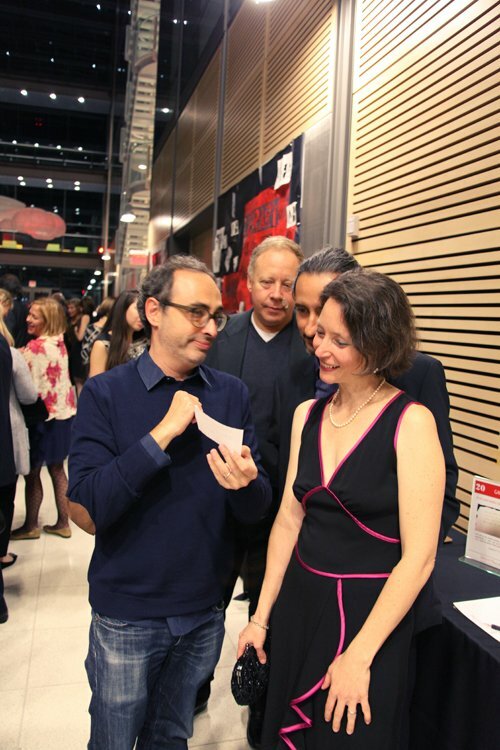 Typing for the author Gary Shteyngart was quite the experience. People kept coming up to exchange words with him, ask for an autograph, request a picture. He seemed skeptical but curious about the free poetry process. When he read his poem, I watched his face reveal quiet appreciation, a secret knowing passing between us. 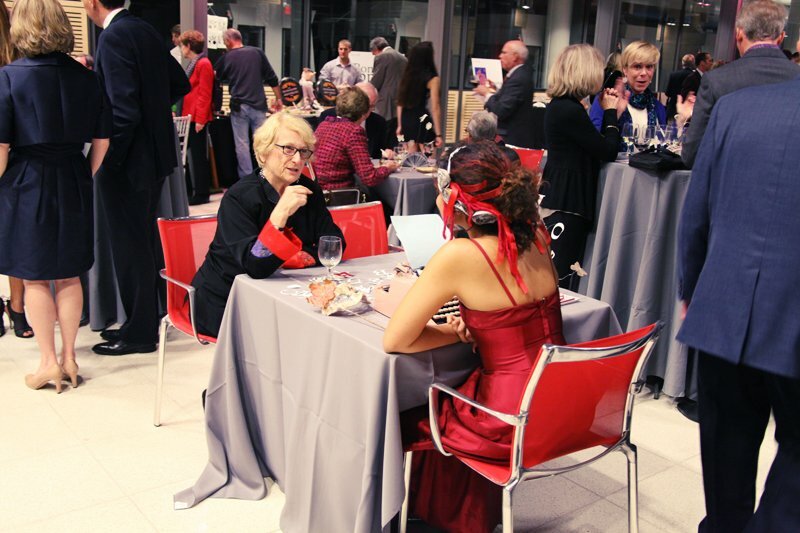 The Beyond Words gala elevated Princeton University’s Frick Chemistry Lab into a literary wonderland reflected through timeless glass. 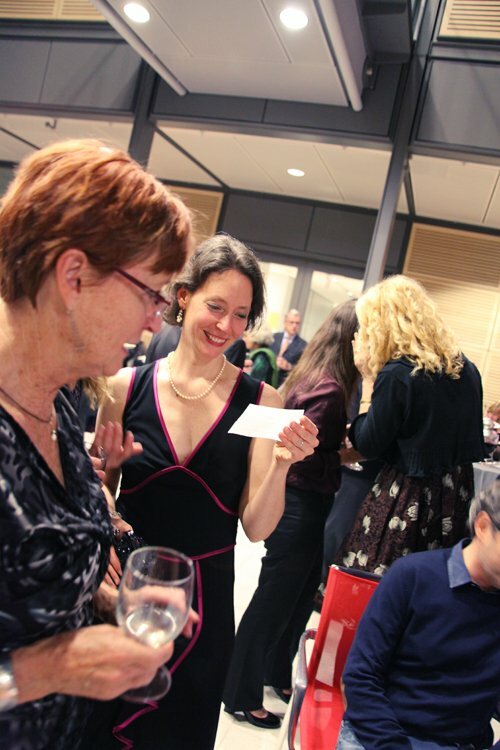 Captivated by conversation, tapas and wine, attendees were enthralled by the night. Everyone bubbled in celebration of the Princeton Library, hazily taken away by live classical music, auctions, vendors, food, dancing, and free poetry. I’m honored Typewriter Poetry played a small role in the enchantment, even if it was for one night (and one night, only). Oh wow!! I am so happy for you! Thanks, Mona! I really appreciate your comment 🙂 It was such a wonderful evening. Looks like a great event and a way to bring poetry to new people who travel in different circles. And you look great in red. Thanks, Ray! I got lucky with the dress–a friend was giving it away. You’re right; it was certainly an unfamiliar crowd that night. I had such a blast that I hope to do it again, sometime. I agree – and it looks like a fantastic event. How many poems did you have to write? Somewhere between 50 – 100. I can’t remember how many poems were pushed out that night, but I know I left without a feeling of being overwhelmed…though the wine may have helped with that.